From a cow farm in North Carolina to a picaresque adventure around the world to the Abravanel Hall stage, mezzo-soprano Victoria Livengood can make you laugh anywhere at any time. 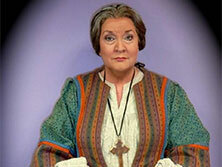 Learn more about her role as the "old lady" in Leonard Bernstein's "Candide" in this video. 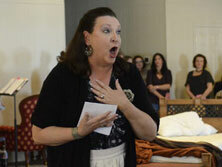 As Victoria Livengood enters the fourth decade of her operatic career, the Thomasville native can look back with pride on her many years as leading mezzo-soprano in productions across four continents. She performed her signature role, Bizet's "Carmen," more than 250 times, including at the Metropolitan Opera with Placido Domingo, and was a noted Delilah in Saint-Saens' opera about the biblical seducer. 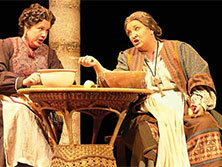 Livengood brought both roles to Raleigh for Opera Company of N.C. (now N.C. Opera) in the early 2000s. Greensboro Opera will right an oversight with its upcoming opera gala, featuring Thomasville native - and Metropolitan Opera star - Victoria Livengood. 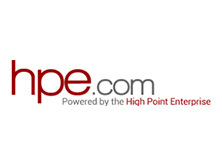 "Even though she's from Thomasville, Victoria has never sung with the Greensboro Opera - go figure - so this is an exciting debut for us," explains artistic director David Holley. Although the Dixie Diva is known principally for her Carmen (a role she's performed over 200 times worldwide) she is also one of the most sought-after singers of modern music. This season sees her in Benjamin Britten's rarely performed Noah's Flood, with the New Orlean Opera, as well as the American premiere of The Passenger, a powerful Holocaust opera by exiled Polish-Jewish composer Mieczyslaw Weinberg, at Houston Grand Opera. 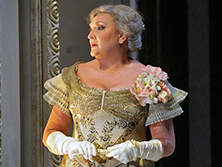 She returns to the Met for Arabella later in the season, followed by Streetcar Named Desire at LA Opera. In between, she'll be doing Rigoletto in New Orleans and Salome in Utah. Long artistic careers are all about reinvention�think Picasso, Matisse... and Madonna. Opera singers with the right stuff keep evolving, too, as renowned, Grammy-nominated mezzo-soprano Victoria Livengood has discovered in a new phase of her career that has her back in intense study mode learning scores of new roles. With performances this month as Herodias in Salome at Utah Opera and next year as The Fortune Teller in Arabella at the Met, among many more in her packed itinerary, the "Dixie Diva" from North Carolina is reveling in her transformation to dramatic and character roles. Next came my amazement... the dazzle, the razzle, the awe. 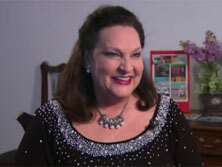 How could I have never heard the voice of Thomasville's "Dixie Diva" Victoria Livengood! 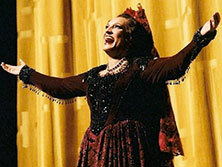 The international opera star has performed her signature role of "Carmen" over 250 times. 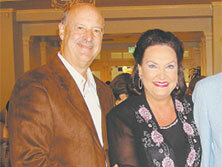 The mezzo-soprano was the featured artiste for Hope in Style. 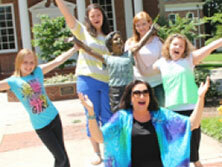 She may be an international opera star, but Thomasville native Victoria Livengood is still a southern belle at heart. Growing up on a farm and raised in a family of musicians, the Grammy-nominated performer has never shied away from her roots. 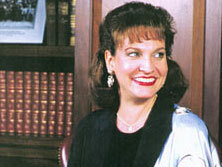 She is often times referred to as the "Dixie Diva." 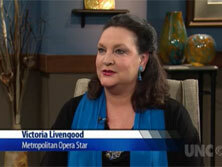 Victoria Livengood was a farm girl from Thomasville who discovered her voice and became an international opera star. Our State's associate editor Sarah Perry sat down with her at her home in Mint Hill to talk about her career, her family, and why after traveling the world she chose to live in North Carolina. As the towering buildings in New York City loomed over Victoria Livengood in 1985, the 25-year-old from Thomasville meandered through the engineered steel with a sense of purpose and her father's credit card in her back pocket. She wore jeans and a ponytail and spoke with her thick, slow North Carolina accent. And when she opened the doors of a jewelry store on Fifth Avenue and spotted a blue topaz necklace, she knew it had to be hers. Livengood told the jewelry store clerk she needed that necklace to sing at the Metropolitan Opera that Sunday, but he didn't believe her. 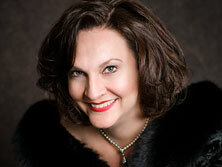 Mezzo-soprano Victoria Livengood has sung over 250 performances of Carmen's title role in her lifetime. 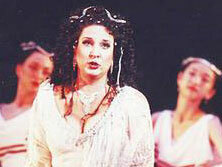 She has performed at virtually every major opera house in the world. Her repertoire ranges from Menotti to Mozart. And yet, there are still places she has not performed, arenas yet to conquer. One of those arenas is The Santa Fe Opera. This summer marks Livengood's debut with the Company, as well as her role debut as Arabella's feisty, social-climbing mother, Adelaide. According to Met Opera mezzo Victoria Livengood, who makes her Santa Fe Opera debut as Arabella's mother Adelaide in the new production premiering Sat., July 28, Strauss's female roles are tough musically but "written beautifully for the voices and very singable." She finds some of Arabella's music "breathtakingly beautiful," adding that playing Strauss mothers written for mature mezzos is "dreamy." Though Victoria Livengood has played "Carmen" alongside Placido Domingo, graced the stage of the Metropolitan Opera in more than 100 performances and serenaded Luciano Pavarotti, this Grammy-nominated mezzo-soprano is as comfortable on a cattle farm as she is center stage. Victoria sat down with UNC-TV's "North Carolina Now" to discuss her performance with Opera Carolina, in the role of Filippyevna in "Eugene Onegin" by Tchaikovsky. Victoria Livengood dials down the Southern charm for Opera Carolina's "Eugene Onegin"
Victoria Livengood is known on New York stages and in opera houses all over the world. The New York Times has described her as "naturally seductive and vocally alluring." The Boston Phoenix magazine compared her acting to Joan Crawford and her singing to Maria Callas, and the Buenos Aires Herald named her "one of the leading singer-actresses of her generation." But around these parts, folks just call her the "Dixie Diva." Victoria sat down with UNC-TV's "North Carolina Now" to discuss her career. After nearly 25 years in the world of opera, including more than a hundred performances at the prestigious Metropolitan Opera, what's left for Victoria Livengood to accomplish? The choir audition was an afterthought. One of Hill Hall's pet pupils, she went off to be a Mezzo-Soprano... and left her heart on the farm.